Up for sale is (1) 16.9oz. 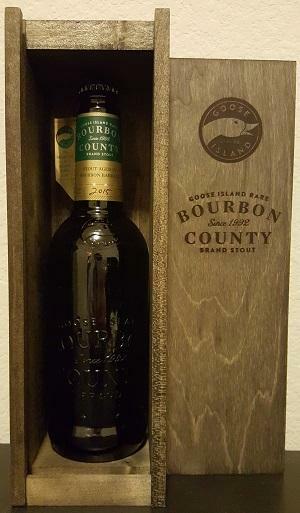 bottle of 2015 Goose Island Bourbon County Stout Rare. More than 1 available if interested. This bottle is in excellent shape and has been properly cellared. Bottle and wooden box will be excessively bubble wrapped and shipped through FedEx to the Continental US only. No APO or FPO boxes. Ships next business day after PayPal payment received. PayPal Payment expected within 24 hours or item will be re-listed. Email with any questions. No returns. Enjoy and thanks for looking! !